At our first scan they told me I was 10 weeks 3 days, when I had worked out I was 12 weeks (and some days) pregnant, so they took us back 2 weeks and Due Date moved forward. This did make sense because it took my 16 days to find out I was pregnant with Baby. I was a little gutted I was early on because I was just so excited and it felt really slow, but Baby was all healthy and wriggling around non stop! The second scan, we had on 18th January at the same time, but different day to the first scan, at 11.20am. My partner came with me and I was really excited to see how much Baby had grown but also still a little worried in case something was wrong. After trying to find a parking space, we finally found one after 20 minutes of looking and we arrived at the scan department around 11.15am. We didn't wait long until we were called in. This time it was a man scanning me, he seemed lovely though. There was also a trainee with him looking at what he was doing too. He put the cold gel on my stomach and pressed down (pretty hard ouch!). I turned my head and there was Baby! Still as anything! I did get a little worried because Baby wasn't moving but I then saw the healthy beating heartbeat. Baby hardly moved at all during the scan but did have hiccups! Baby kept jumping and moving its head backwards every time he/she jamp, it was pretty funny. After the scan I was taken to a room to get my blood tests taken for the Down Syndrome test and some other tests too, which I should have the results for on Wednesday morning when I see the midwife. We later on went to Tesco and I bought Baby a new outfit, pack of vests and a bib. I was super excited. The man at the scan also told me I was 13 weeks exact, which makes me Due on 25th July 2016 instead of the 24th July. The size difference was amazing. 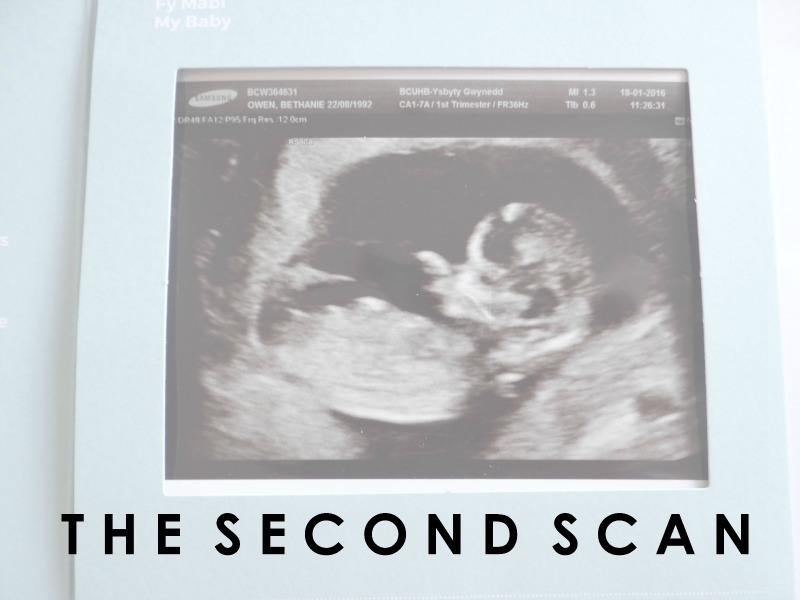 In the first scan Baby was 6.4cm when in the second scan Baby was 12cm exact. The hospital have booked my next scan for the 9th of March, which is just 4 days after Elliw's birthday and I will be 20 weeks + 2 days pregnant. Although it has gone really slow up until now, I can see these next few weeks flying by because I have a few busy weekends ahead of me. I have also booked an early gender 3D scan on the 31st January. Aww congrats, always nice having the scans to see baby and for reassurance.Eek not long at all until your 3D gender scan, very exciting!! Congratulations, it's great to hear that baby is growing well. 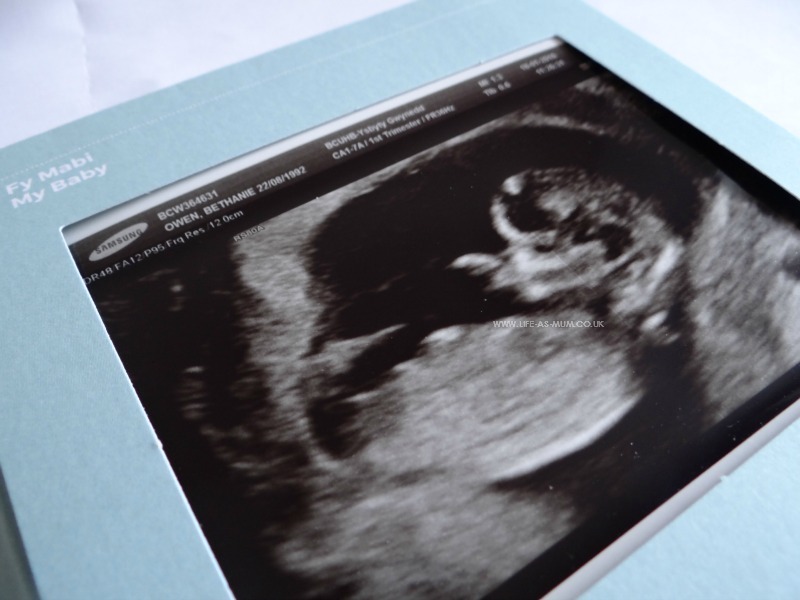 I bet you can't wait for your 3D scan, I would have love one when I was pregnant with one of mine! Congratulations!! I hope it all goes really smoothly. I remember when I was pregnant being so surprised at how much they had to push down on your belly when doing the ultrasound scan. I always thought it was such a gentle thing! Glad everything turned out OK and that baby is growing nicely. Congratulations! Maybe your baby will be born on my birthday (July 31st)! I am a bit jealous that I don't have another scan, but will actually be meeting my little one fairly soon as I am due in less than 6 weeks. Congrats again, being pregnant is a blessing! Well ultrasound is not safe we all know but if the ultrasound technician exposes only bare minimum radiation than the effects is minimized. Get 3d ultrasound and 4d ultrasound scans done by experts.